In the past week, I’ve seen Monarchs in three different locations. (This is the only one that would pose for me!) Cause for optimism? Have you seen any Monarchs this summer? 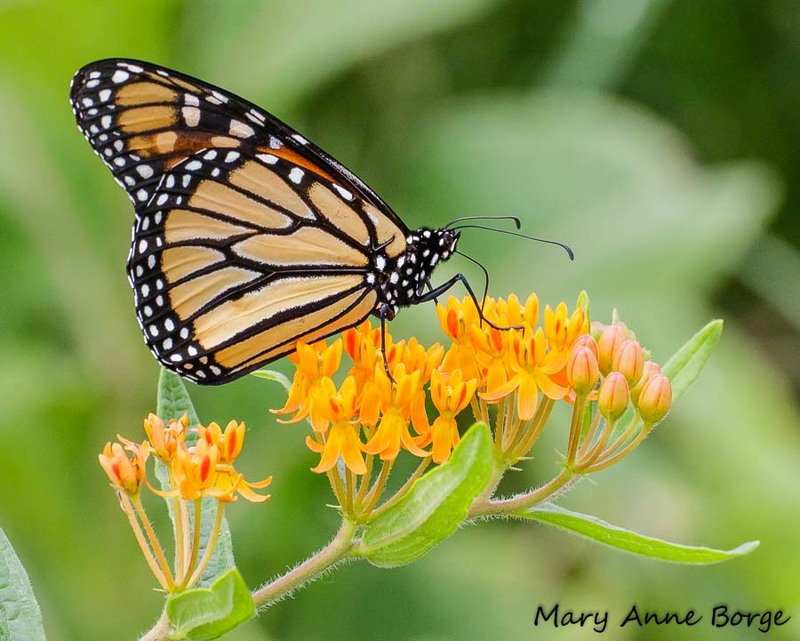 This entry was posted in Butterflies and tagged Butterflyweed, Monarch, nature by Mary Anne Borge. Bookmark the permalink. I had 15 Monarchs and was able to release 12 this year. This is my 1st. Experience and I really was happy to help Increase the Monarch population. I had one in my garden this weekend (July 11) in Wrightstown Twp, Pa! Terrific! I choose to believe that things are looking up. Let’s hope we have some at the BHWP-NABA butterfly count this weekend. I saw the first of the season on July 11 in Pennington NJ. Is anyone interested in seed pods of Asclepias syriaca? Yes, I saw one at our farm in Wrightstown. I was shocked. It has been a while since I’ve seen one. Beautiful! I had a few in my yard a couple of weeks ago – laying eggs! !